What Freedom House in its aforementioned report intentionally omits is that "the local Rakhine Buddhist population" it refers to is actually part of a much larger political - not religious - network that had fed saffron-clad "monks" onto the streets for pro-Suu Kyi protests in 2007 and which has systematically thwarted efforts by the military-led government before Suu Kyi's rise to power to begin the process of granting Rohingya minorities proper legal and political status within Myanmar. 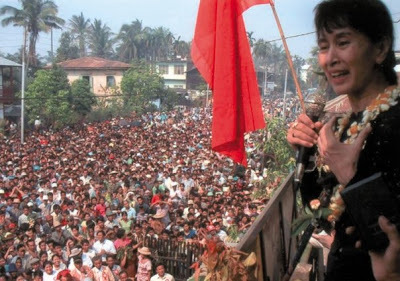 Image: Aung San Suu Kyi addresses mobs during the US-engineered 2007 "Saffron Revolution" in Myanmar. 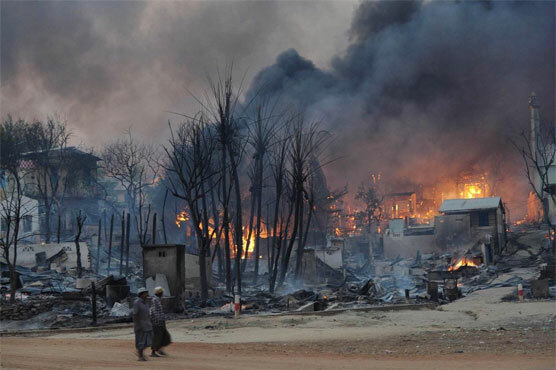 It is also a political network that has systematically abused, brutalized, and driven Myanmar's Rohingya population first from their homes and businesses into camps, then from camps to abroad in neighboring nations including Bangladesh and Thailand. While attempts to compare Myanmar's crisis to ongoing conflict driven by US-backed regime change in Syria - it is clear that Myanmar's crisis is more comparable to the US occupation of Afghanistan minus the presence (for now) of US troops. While the United States and its European partners control Myanmar's civilian government, the US is attempting to divide and weaken the Myanmar state to corrode independent institutions still beyond Wall Street and Washington's control, hinder the central government from achieving any sort of independence itself, as well as create a pretext for an initial and then expanded presence of US missions - economically, diplomatically, and militarily - in Myanmar. The goal - as it is in Afghanistan - is to disrupt, undermine, and ultimately overturn progress China and other alternative centers of global power have made in the two nations. In particular, the highly confined violence in Myanmar's Rakhine state is precisely where China sought to establish and use one of its One Belt, One Road (OBOR) logistical hubs. 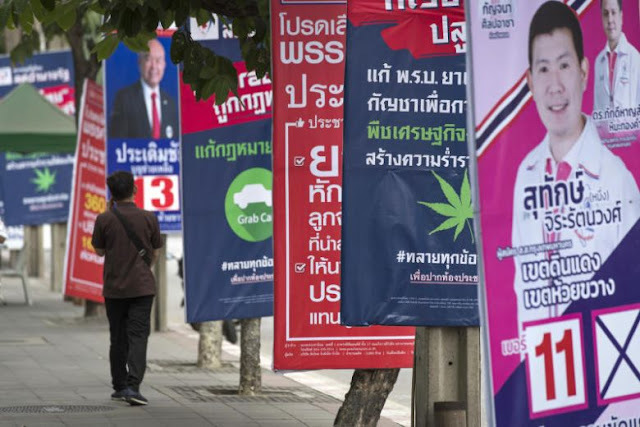 Through a large US State Department and European-funded network of faux-nongovernmental organizations (NGOs),Western-backed opposition parties, and likewise Western-backed street fronts, Myanmar's current client regime was successfully installed into power after general elections in 2015. Prominent opposition party, the National League for Democracy (NLD) assumed power of the government but maintained little control over the nation's independent military. The NLD's party leader, Aung San Suu Kyi, literally created a new political office for herself to occupy as defacto "head of state." Under Myanmar's constitution Suu Kyi was barred from holding high offices in the nation's political system due to her marriage to a foreign spouse - a British man - and because her children hold dual UK-Myanmar citizenship. 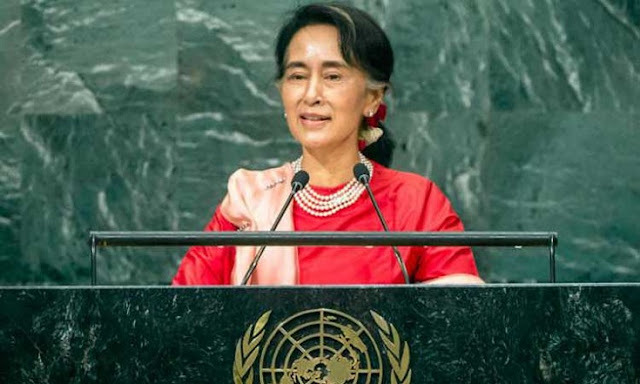 Suu Kyi herself received a foreign education and worked within Western institutions including the United Nations in the US before returning to Myanmar to engage in domestic politics. Her entry into politics and her ascension into power has been openly funded and backed by the United States, former colonial ruler the United Kingdom, and a long list of European collaborators, for decades. Many senior positions within Myanmar's ruling regime are held by likewise products of extensive US funding, training, indoctrination, and support, including the current Minister of Information Pe Myint. Just as the US controls the government in Kabul, Afghanistan, it controls the civilian leadership in Naypyidaw, Myanmar. And just as the US perpetuates the threat of terrorism in Afghanistan as a pretext for the permanent US military occupation of the Central Asian state, the US and its Saudi allies are attempting to use the current Rohingya crisis as a vector to introduce a foreign-funded militancy as a pretext first for joint "counter-terrorism" cooperation with the government of Myanmar, and then the permanent positioning of US military assets in a Southeast Asian state that directly borders China - a long-term goal of US policymakers stretching back decades. 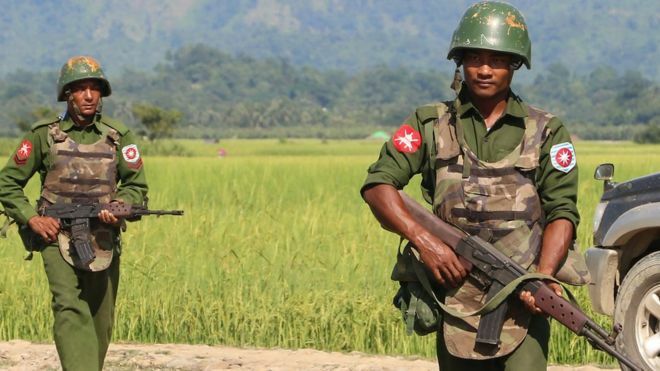 It is expected that the military of Myanmar will come under increasing pressure, targeted sanctions, and outright threats until it capitulates, collapses, or manages to overcome foreign influence and the client regime serving as a vector and facilitator for them. Meanwhile, Suu Kyi's regime will continue being granted relative impunity across the West despite the fact that it is her own support base carrying out anti-Rohingya violence. The crisis will be leveraged to thwart China's economic inroads and prop up a burgeoning US-European diplomatic and military presence in the country. 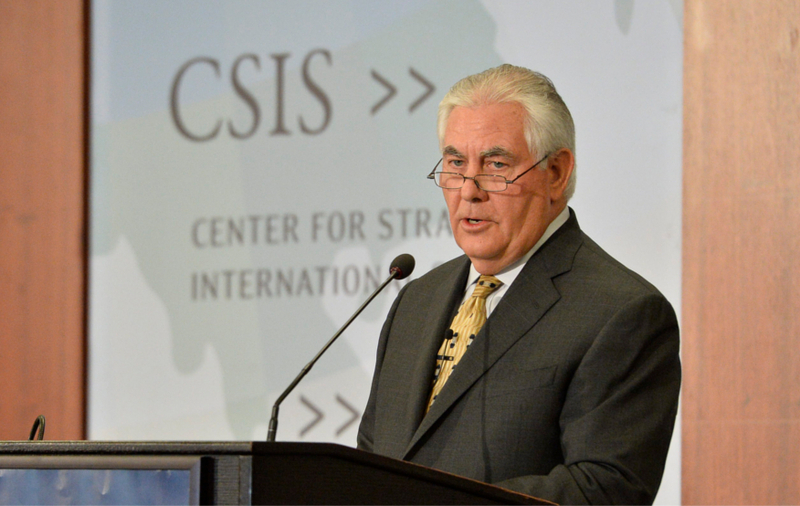 Voices across the media exposing US plans will make it increasingly difficult for the US and its partners to maneuver in Myanmar and give counterbalancing forces further leverage in frustrating and rolling them back.